McMyler Hoist, Carrington Dyke, Newcastle. From the Bert Lovett/Norm Barney Collection, University of Newcastle, Cultural Collections. The McMyler Hoist stands as one of the most expensive mistakes of the New South Wales government. 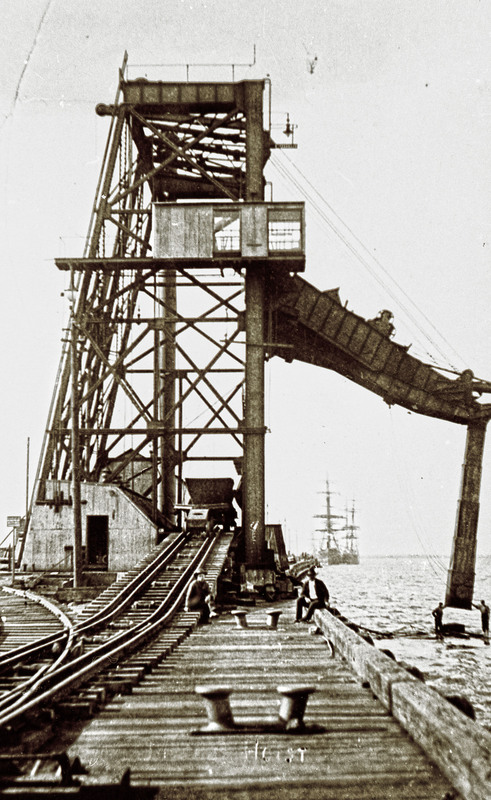 The McMyler Hoist was a coal loader used between 1908 and 1916, and dismantled in 1933. It was not suited to the wagons used in the Port of Newcastle, and also had the effect of damaging the coal. Four were bought, and the one installed was such a failure that despite the hoists being an expensive purchase (millions of dollars in today's standards) the remaining three were never used. It was replaced in 1958 by the first of the conveyor type coal loaders: the Newstan Colliery Loader.